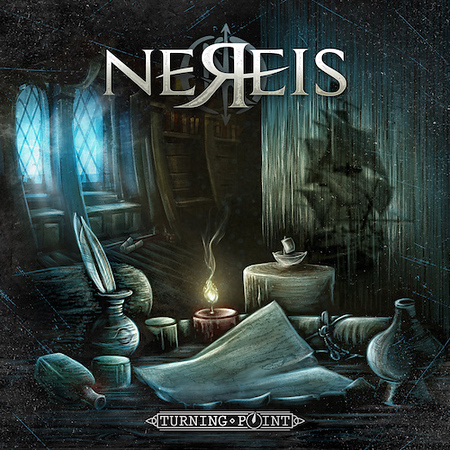 “Turning Point” is the debut album from Italian band Nereis and it was released via Eclipse Records on 8th June. As soon as I’d checked out the e-mail from Eclipse last week and took a listen to the album I liked what I heard and downloaded the tracks. Stupidly, I forgot to add them to my music player so I haven’t included any tracks on the Friday NI Rocks Show yet, but we’ll be rectifying that next week! So far the band has released videos for three tracks – “Breaking Bad”, “Two Wolves” and “Overdrive”. The band formed initially in 2007 as Black Star, playing as a covers band around Trento until releasing an album of original songs called “Burnin’ Game” in 2012. After a big change in the line-up the following year a new singer and guitarist were found and the EP “From The Ashes” was released. The band then toured extensively across Italy and Eastern Europe before starting to write the new album which was recorded in 2017. At some point late in the same year they also changed their name from Black Star to Nereis and in January 2018 signed with Eclipse Records. There are 11 tracks on the album and the band would be quite difficult to pin a label to – at times heavy and at others almost symphonic! Their influences are also fairly broad it seems, ranging from Bon Jovi and Kings of Leon to Avenged Sevenfold and Alice in Chains. An album definitely worth checking out though.